If your laptop, phone, desktop and tablet were all to vanish could your business still carry on without skipping a beat? Most of us would say no when asked this question. The ability to replace data that becomes lost, corrupt, stolen and/or infected with malware and encrypted is paramount to keeping business moving forward. There is a difference between data storage and data backup, backing up data is done with active data for immediate retrieval with data that can change often whereas data storage is the long term storage of data that doesn't change often or doesn't have immediate needs requiring access. It's the lack of solid backup policies and processes that can seriously damage most organizations in the digital age. 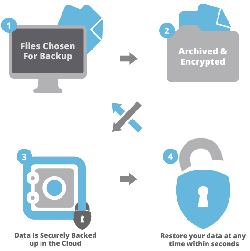 There are many options out there for the safe keeping of your data that provide restoration ability within incredibly short time spans. The right solution for you is that one that is customized to the data your business generates and uses. It doesn't have to be expensive it just has to work when you need it the most. 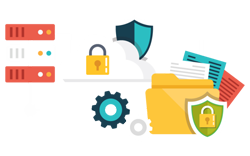 Contact us to see how we can craft the appropriate data protection policies to safeguard your important business emails and data.